My sister recently gave birth to her third little bubba and because she was booked in for a scheduled caesarean and I knew she was having a girl, I whipped her up these little lovelies at my sewing class (Miss Mary's classes - have you heard of them? Soooooo fantastic. If you live in the Perth area and want to know more - www.missmary.com.au) the night before. Very last minute, I know. All wrapped and ready. 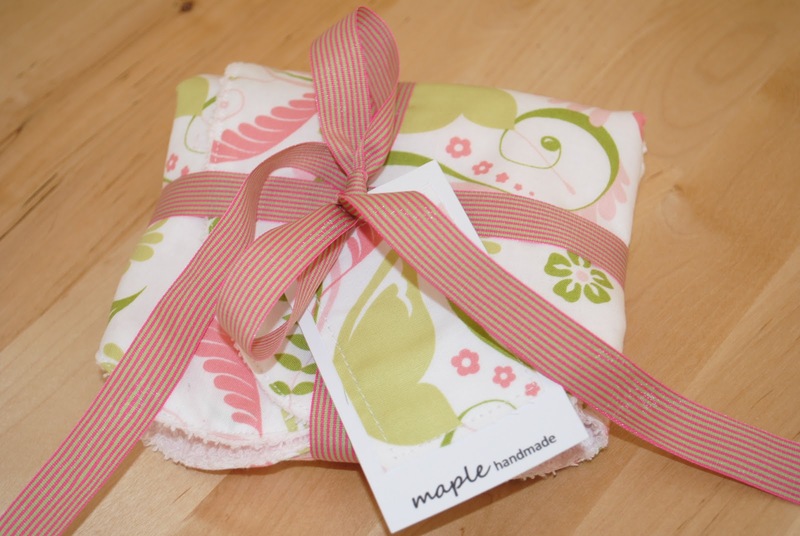 I sometimes call myself "Maple Handmade" - just because I like the sound of it! 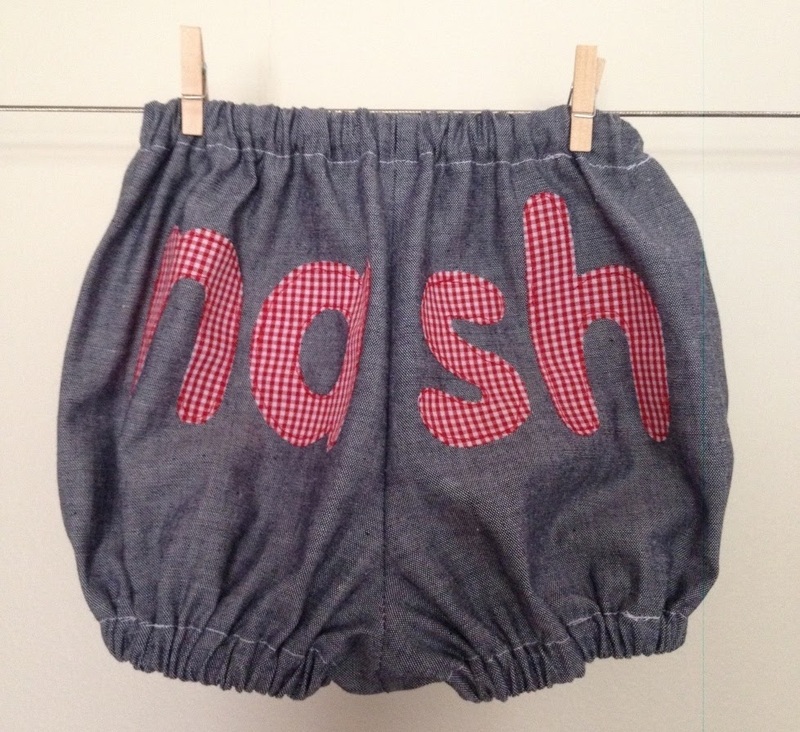 His very own personalised bloomers ... phew, there'll be no getting it wrong again from this silly Aunty. Sorry Nash.